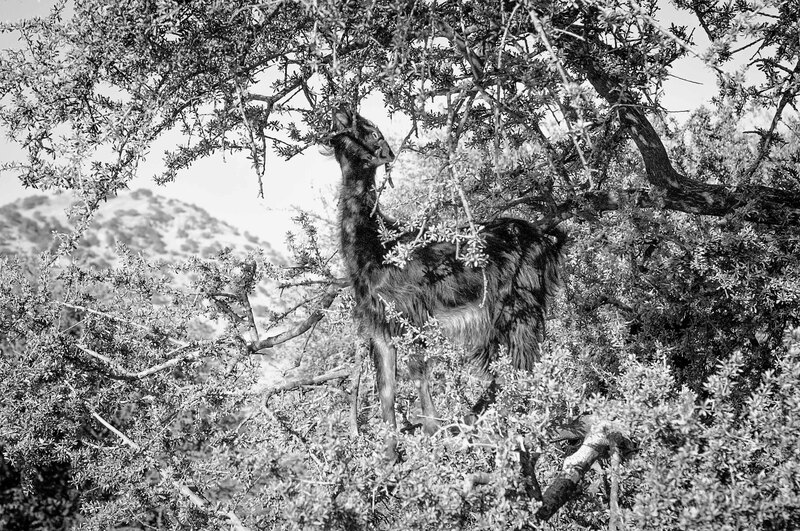 WK46_bw – Veil or Mask? Talal and Salim enjoying a quite afternoon nap.. The explosion of colours made this car much more appealing to my eyes… I wonder why we don’t see more daring artworks like this. I am always amazed by what goes through the mind of a painter before creating an artwork out of nothingness..
“If you think you’re too small to make a difference, try sleeping in a closed room with a fly…” – African proverb.. The good news is that the typical life span of a fly is 2 to 3 weeks! When Lusi got her board, she didn’t like the design on it so she decided to take matters in hand. The result was this beautiful artwork she drew with a pen. Last I’ve heard, Lusi’s fine amd the board took some damage.. not sure about the the pomegranate..
A goat climbing an Argan tree to get a taste of its delicious fruits.. An inspiring illustration of adaptation skills. WK41_col – Honda Vs. The world! 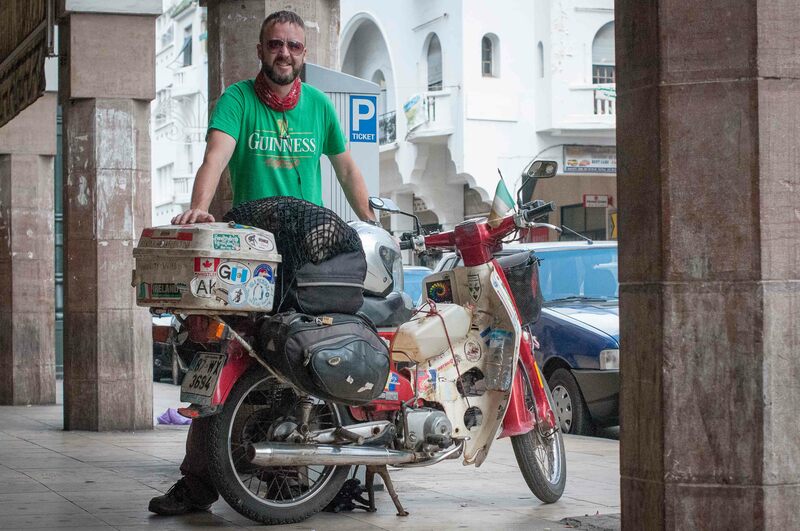 I randomly met Sean while in Casablanca where we were both servicing our motorbikes. Sean had more than 60 thousand kilometres on his 1987 C90 travelling from from Alaska to the south pole, across Africa and Europe.. during three years. A truly inspiring trip. WK41_bw – Sometimes, I want to be little again. Swings are great, they’re some of the first catalysers that make you get out out of your comfort zone as a child.. thinking too much can make you loose that momentum. 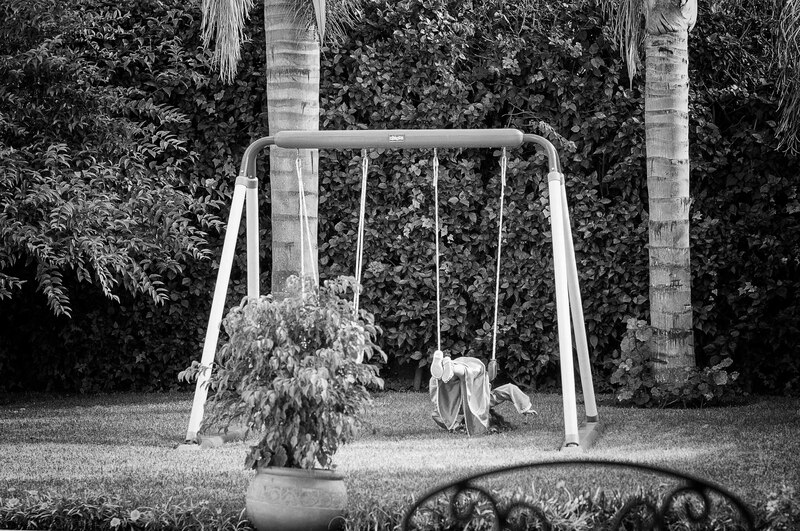 Get your kid on a swing and tell them to take a leap of faith!